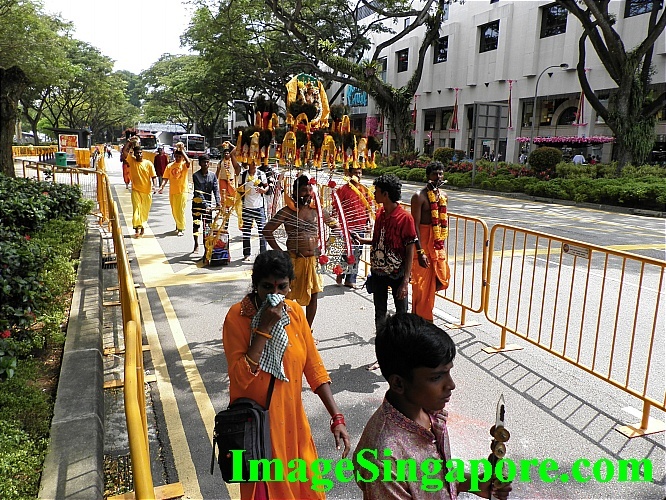 I attended the Thaipusam festival held on 17th January 2014 in the morning. 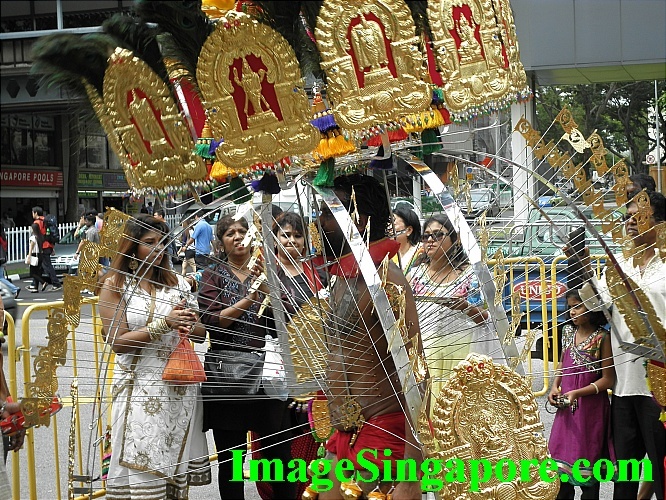 It is a festival that is celebrated among the Hindus community here. 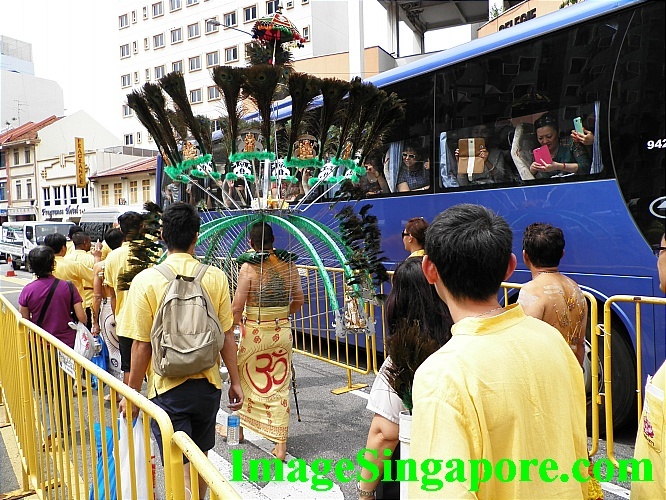 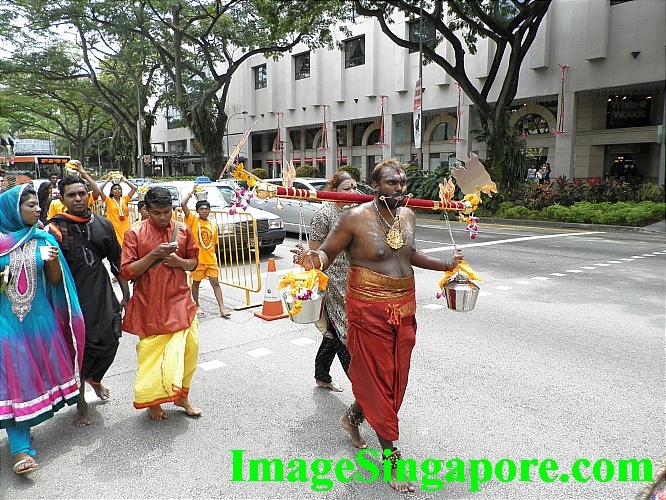 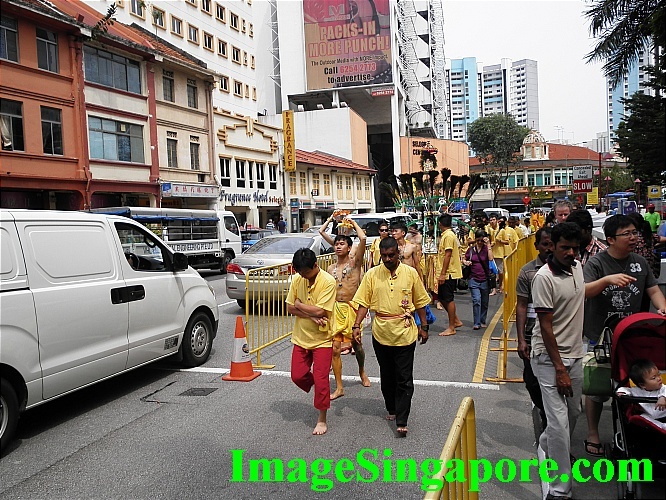 It is an interesting, colorful and sometimes noisy event; whereby I saw many devotees carrying kavadi or in simpler form – just a pot of milk over their head. 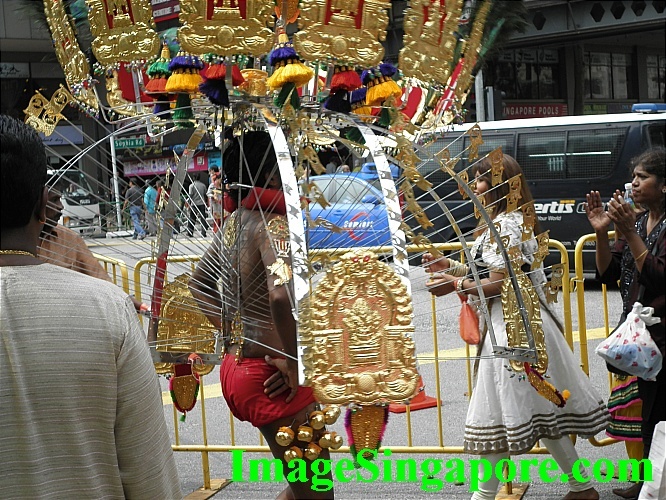 Tour bus stopping at the road to allow tourists to take some photos. 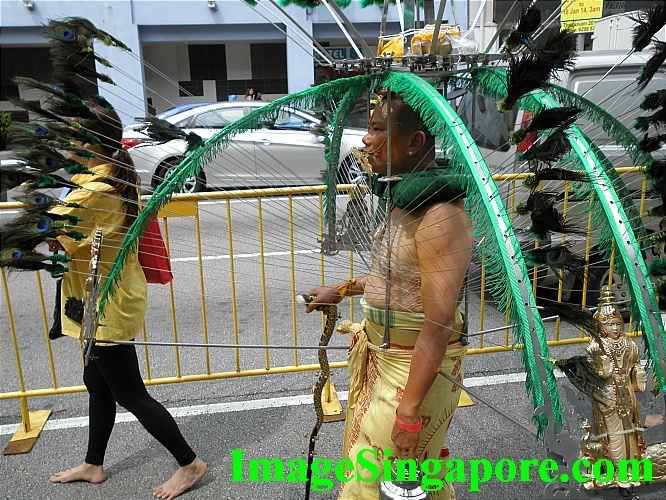 Some Chinese are also participating in this event. 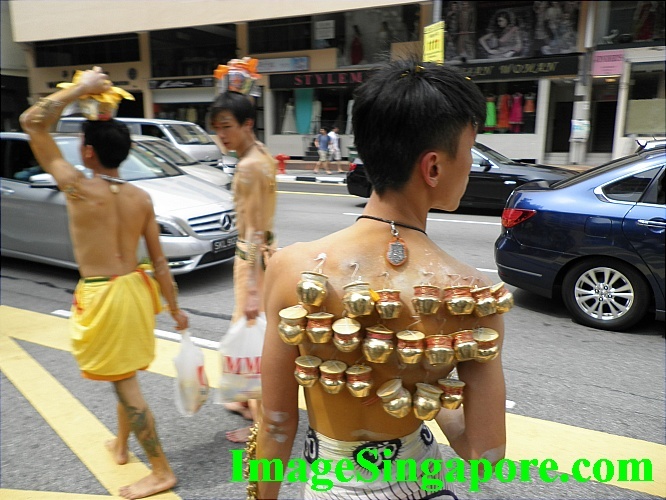 So many ornaments attached on the back. 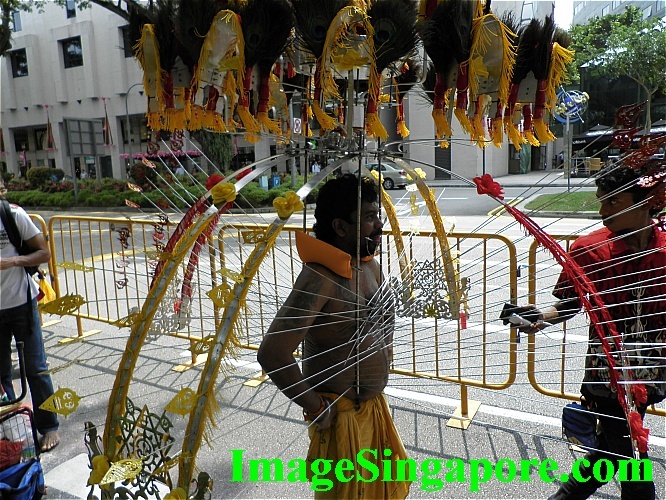 Thaipusam is a 2 day celebration. 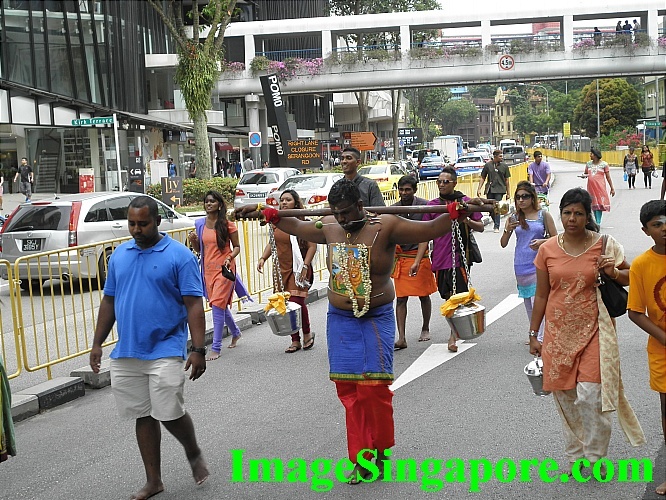 Devotee carrying pots of milk.